It may be small but do not underestimate the Arbarth 695 Biposto. The Abarth 695 Biposto is a racing car at heart and more than just at heart. It belongs on the race track, even if the only race track that you get remotely near these days is a digital one. Nevertheless, the Abarth 695 Biposto has all the looks and all the zip of a street racer. 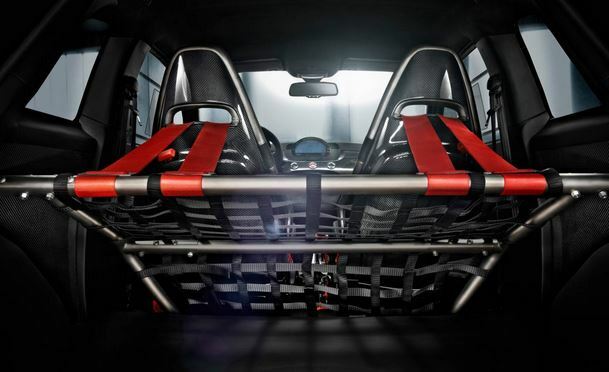 If you’ve wanted to indulge your “Fast and Furious” fantasies (without actually breaking the law and/or your neck, of course), then the closest you’ll get to doing this is in the Abarth 695 Biposto. If, however, you are looking for a car that has lots of bells and whistles, then this isn’t for you. In its quest to become the “most Abarth of all Abarths”, it’s been stripped back to the essentials. It’s all about the car and the driver. So you won’t find a radio. You won’t find air-con. You won’t even find rear seats. 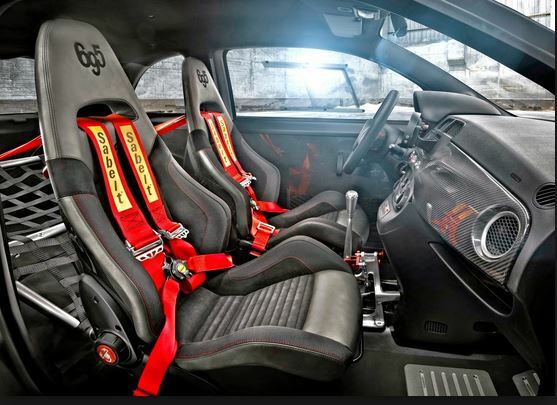 What you will find is proper racing bucket seats with an optional four-point harness seat belt. You’ll find aluminium racing pedals and interior roll cage made of titanium. You’ll also find a superb exterior body kit with everything: side skirts of carbon fibre, twin titanium tailpipes. an oversized rear spoiler, 18-inch tyres and a carbon fibre front spoiler. Just about everything is carbon fibre (for reducing weight to make the most of the power) and titanium (for strength and beauty), aluminium and leather. The Abarth 695 Biposto claims to be the fastest Abarth ever (off the racetrack, we presume… although we wouldn’t be surprised to see the Abarth 695 Biposto running round the track). Take the reduction in weight that comes from the carbon fibre technology and removing everything except the bare essentials, add a 1.4-litre turbo T-jet engine with 140 kW of power at 5500 rpm and a very, very potent 250 Nm of torque at 3000 rpm and you have one very high-performance vehicle. The Abarth 695 Biposto has been speed limited to 230 km/h, but we’re betting that without this limit, it would probably go a lot faster. The 5.9-second 0–100 km/h sprint time is a clear indication of that! One of the special features of the Abarth 695 Biposto that make it unique is the “dog ring” gearing system available as an option. The Abarth 695 Biposto claims to be the first street legal car with a dog ring gearbox, which is sometimes referred to as a dogbox (and you wouldn’t mind being out sent to this dogbox!). This mechanism is usually only seen in racing cars that don’t go off the track. Small wonder that reviewers around the globe have been using words like “nuts”, “crazy” and “mental” – in a good way. Everything about the Abarth 695 Biposto is about speed, power and performance. The hydraulic shock absorbers with racing springs help make the suspension stiff as… well, you fill in the blank. Brembo brakes with oversized disks are, naturally, a must to keep all this power in check. For real enthusiasts, the data logger option that monitors and records your on-track performance is a real must. This means that you can concentrate on your driving around the track and then have a look at the stats once you’ve finished your lap and you’ll have recorded proof of the feats you’ll be bound to brag about when someone doesn’t believe them. Your other option for dealing with doubters is to sit them in the passenger seat and show them the truth. By the end of the drive, they’ll be begging for more (or screaming, depending on how they feel about true power and performance). The Abarth 695 Biposti isn’t a massive street beast. It doesn’t have to be. This small car – it’s based on the little wee Fiat 500 – is proof positive that size doesn’t count. It’s how potent you are that counts instead. The Abarth 695 Biposto certainly isn’t for everyone. Your grandmother’s little Fiat 500 it is not, although they share some similarities. If you could sum up the Abarth 695 Biposto in one word, it would be WOOOOOOOOOOOOOHOOOOOOOOOOOOOOOO! Just keep it legal, folks! 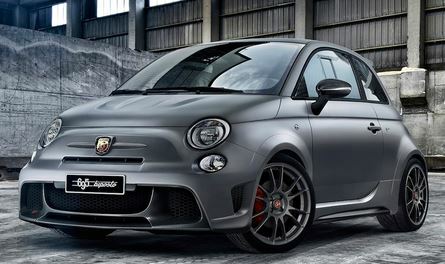 For any more information on the Abarth 695 Biposto, or for that matter any other new car, contact one of our friendly consultants on 1300 303 181. If you’d like some fleet discount pricing (yes even for private buyers! ), we can submit vehicle quote requests out to our national network of Abarth/Fiat dealers and come back with pricing within 24 hours. Private Fleet – car buying made easy!